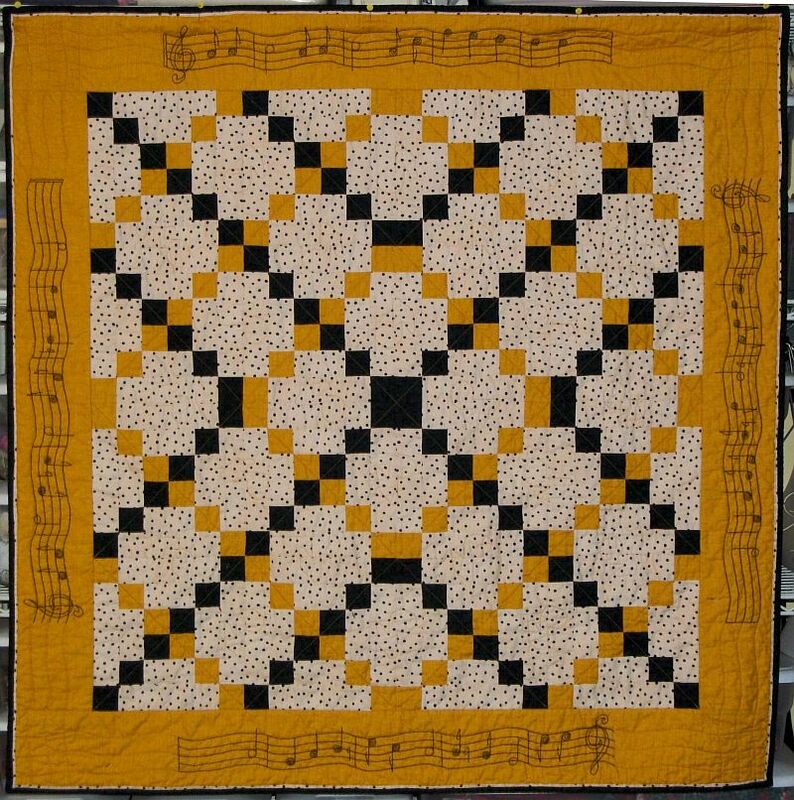 Actually, the music baby quilt is finished and delivered. 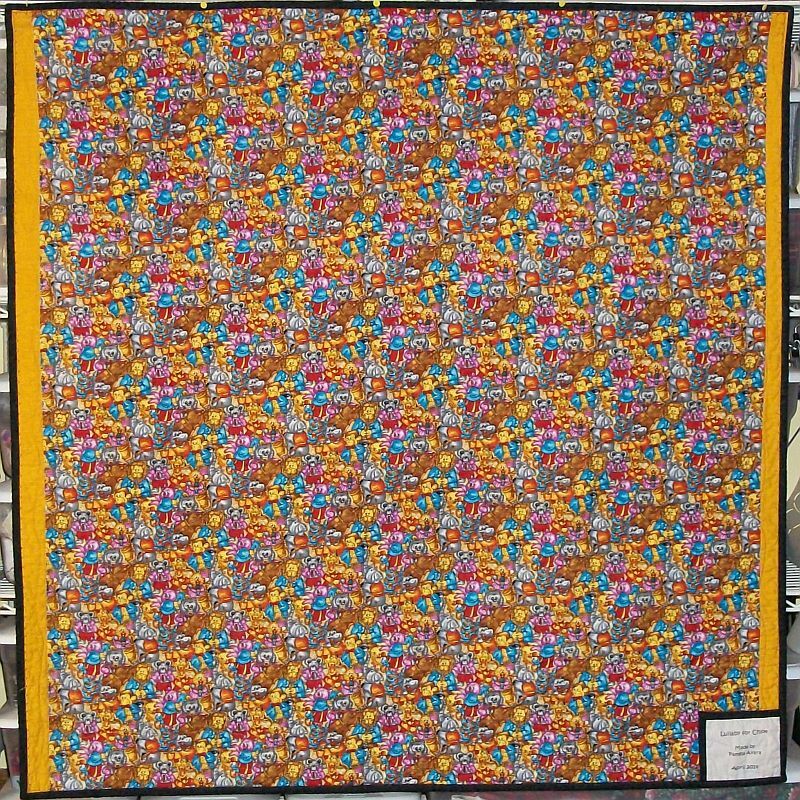 I’ve called it Lullaby for Chloe, as this was a gift for the high school orchestra director’s newborn daughter Chloe. The center went together quite quickly as did the final borders and quilting once I got the embroidery done. 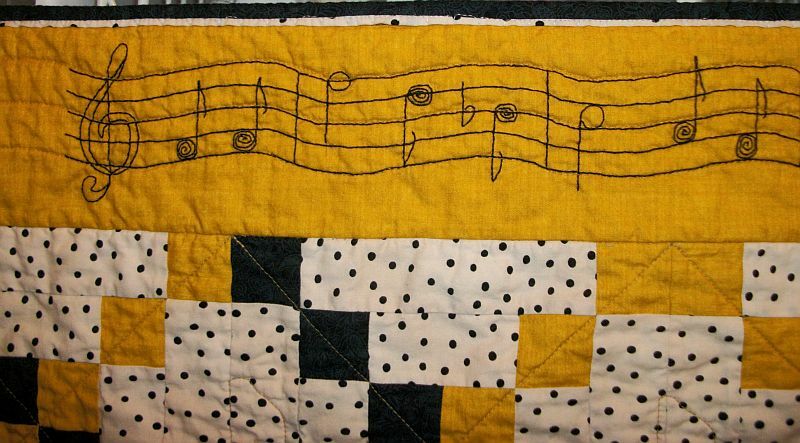 The backing is a piece of baby animal music fabric I bought back when I made Ted’s music quilt. It wasn’t quite wide enough so I added a strip of gold to either side. Next up – prepping the backing for two quilts I’m quilting Friday and Saturday. 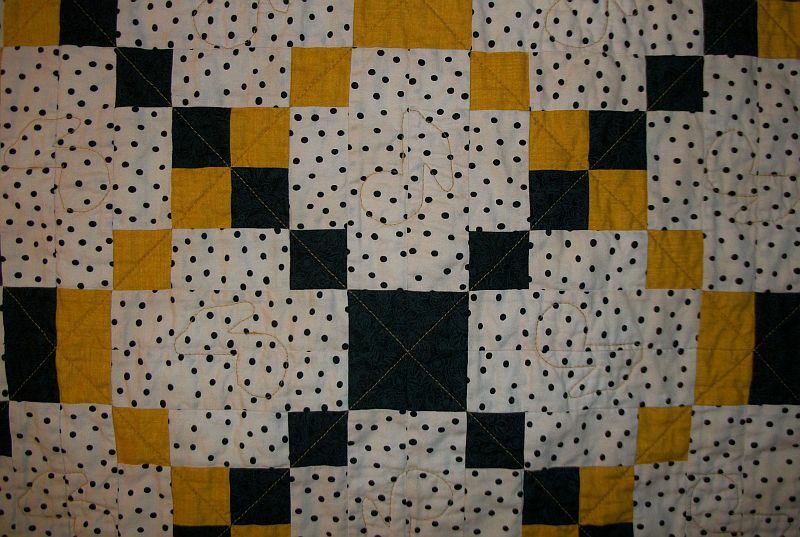 Hop over to Patchwork Times to see what others are working on. 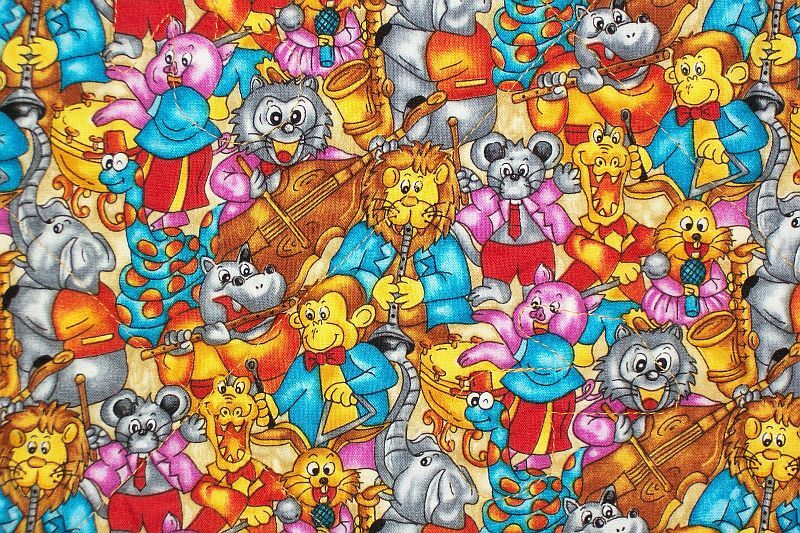 Here’s the link to the 2nd Quarter Finish Party over at The Littlest Thistle and my 2nd Qtr list. Beautiful. What a great idea! I am going to have to remember this one. I’m sure Chloe’s parents were thrilled with your gift.